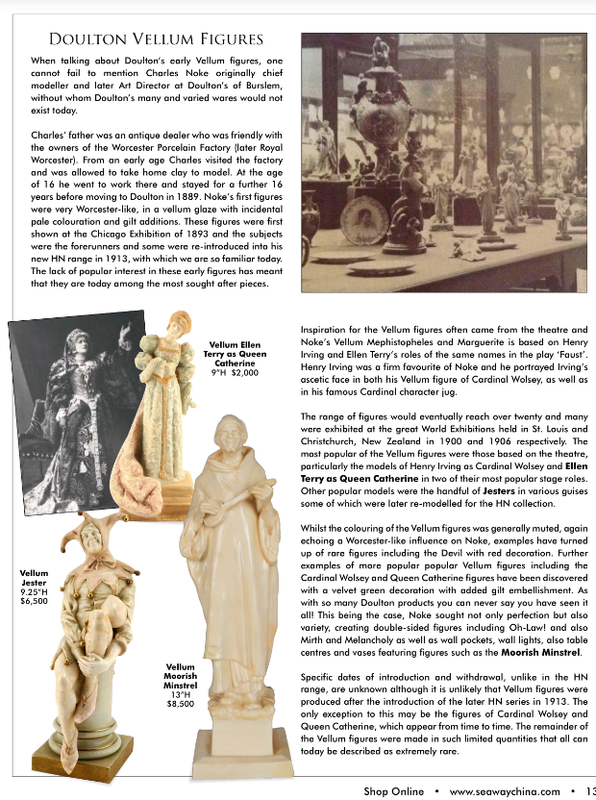 A Treat for all you Doulton Vellum figure collectors! 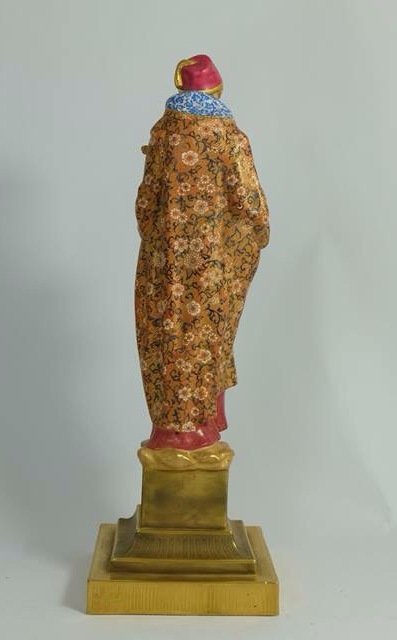 A while back I wrote this piece for Seaway China and there was a great response to these very rare Vellum figures. 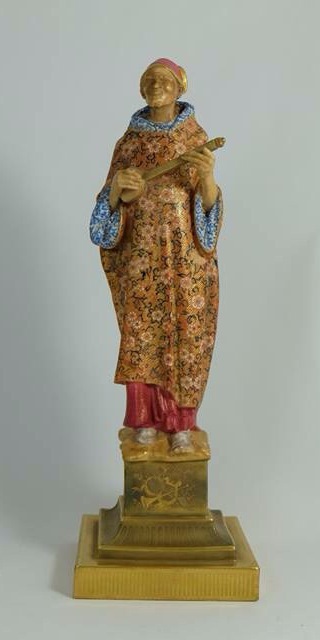 I’ve just been given a sneak peek at this highly decorated version of the Moorish Minstrel that is coming up for auction in April with the Potteries Special Auctions. I don’t recall seeing such a highly decorated example and I’m sure that it will create quite a buzz when it comes up!